In recent years, Israel has made a place for itself on the map for LGBT travelers. As the only destination in the Middle East with unique protections for LGBT individuals and non-discrimination laws, it's a country that has many desirable places to visit that will afford an LGBT traveler a sense of security. Famous for the nightlife scene in Tel Aviv and its vibrant and colorful gay pride festival each summer, Israel and Tel Aviv especially offer a warm welcome to gay travelers looking for fun and exciting events. Tel Aviv is without a doubt the gay capital of Israel. Though Israel is a religious country at heart, Tel Aviv has a mix of foreigners and locals with a strange secular and liberal vibe. 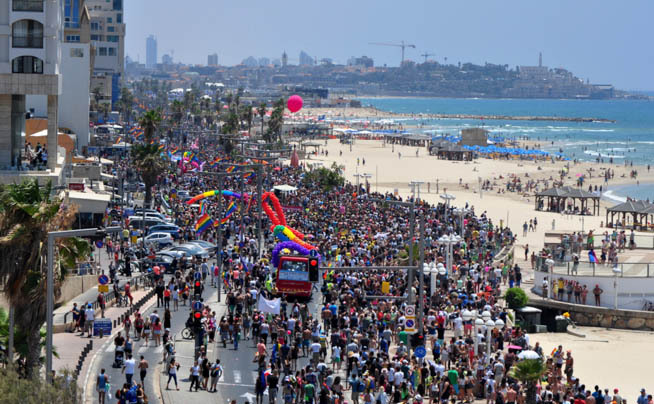 Naturally, the gay pride festival in Tel Aviv is one of the top events to attend, and it has become famous in recent years. Now with more than 130,000 attendees, the gay pride has become an important part of Tel Aviv's annual events reaching beyond just the LGBT community. If you visit during pride week, you can't miss the opportunity to see some of Israel's top sights including Jerusalem, Masada, and the Dead Sea. You can even find gay tour operators like OUTstanding Travel, which offers day tours to these sites during popular LGBT events. Though not specifically an LGBT-only oriented event, Eurovision has a strong gay following. Israel has been part of the Eurovision song contest since 1973 and has participated 37 times in the event. Because of many residents of Israel having ties to Europe and the country's strong Western-influenced culture, participating in and celebrating the contest is as common as it is in many European countries. You'll find plenty of LGBT and gay-friendly establishments hosting Eurovision parties on the final night held in May, including one of Tel Aviv's oldest and most famous gay bars called Evita. The Lethal Lesbian Festival is not the largest LGBT film festival in Israel but it is unique and one that is focused solely on lesbian films. Sure you can attend the Tel Aviv International Gay and Lesbian Film Festival called TLV Fest, but the Lethal Lesbian Festival is special and is of particular interest to women. The TLV Fest takes place during the same week as Tel Aviv gay pride, but the Lethal Lesbian Festival is an alternative event held during the month of October. Which event in Israel would you most like to attend?